Brentwood Masterpiece: Beautiful, family-friendly, and easy to maintain. Landscape Service Performed: firepit, kids play area, decomposed granite walkway, paver patio, and landscaping (plants and trees). Steve’s 13,000 sq. ft. property in Oakley, CA had already been remodeled for drought-tolerance. However, the utilitarian approach just wasn’t enough. His yard was your average, run-of-the-mill, and Steve wanted to breathe new life into it--a desire that he’d been working on for the past 15 years. After spending 2 years brainstorming viable, executable ideas for his backyard, he approached AJ’s. We worked together to turn his vision into a fully usable remodel plan. Steve was both specific and flexible in the sense that he knew exactly what he wanted but wasn’t too pushy about the finer details. He specified that he wanted to his front yard to stand out, and so we placed a fire pit out in the front to cater to this. We used his vision to create a tastefully landscaped masterpiece with plenty of character and color to spare. The primary materials for this project were concrete, decomposed granite, and bark. Steve specifically requested a gas fire pit for the front yard, but was more lax on the finer details. So we decided to take some creative liberties with the space we had to work with--using Steve’s personal vision for the yard as our overall guide. Aside from wanting something entertaining and unique, Steve also wanted to take advantage of the drought rebates offered through the state and county. So aside from using drought-friendly materials where we could, a good deal of the landscaping we did on his property was also drought-friendly. We also installed boulders, plants, trees, and a dry riverbed for statement pieces. 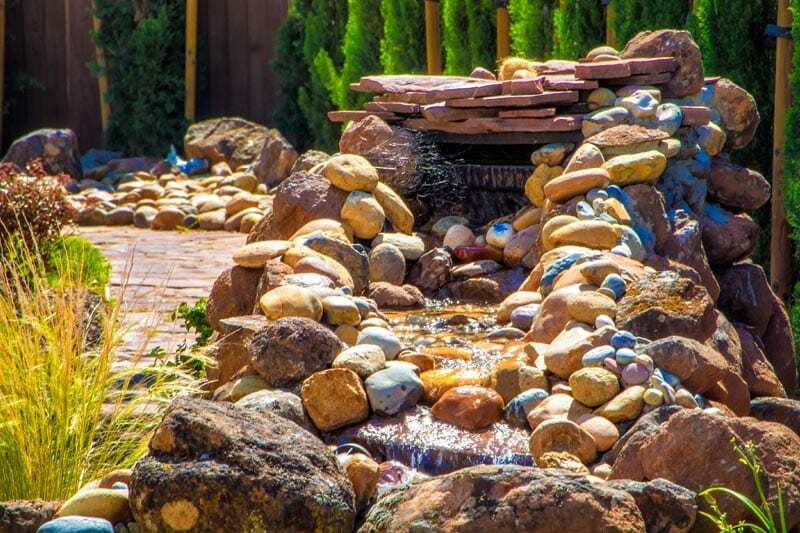 To add character, a water feature, a stamped and colored patio, and hand-crafted bridge (in memory of his wife). We also installed seating benches, unique fencing, and a drip system for functionality and practicality. Even though the actual remodeling and landscaping only took about 3 weeks, the entire project--including initial discussion and preparation--took almost 4 months to complete. It was, however, ultimately worth it. Steve was one of the easiest clients we worked with, and we could truly see his desire for a fresh, new look. We added bold statement pieces and tempered them with soft touches of nature. We made sure communication was smooth and unimpeded, and we made it a point to immediately address whatever issues or concerns he raised. Steve also told us about his wife who had passed away. We made the decision to honor her through the yard we were creating for him. So we installed a hand-crafted bridge as a gift, and Steve got a plaque to name the bridge after her. 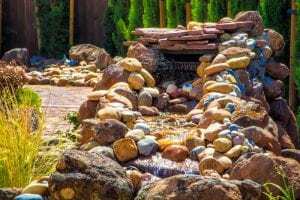 Overall, Steve described the project as something we got to the tee – it was exactly what he wanted, from the landscaping down to the statement pieces. In his opinion, we truly made his vision come true. 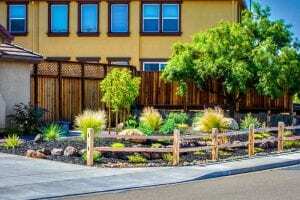 When he submitted pictures of his front yard to avail of the drought rebate, the count even came down to take professional photos of his yard because it was such a unique transformation. I had a great experience with Chris and his crew from AJ's. I have a 13,000+sq. ft. lot that AJ's almost completely redid for me. 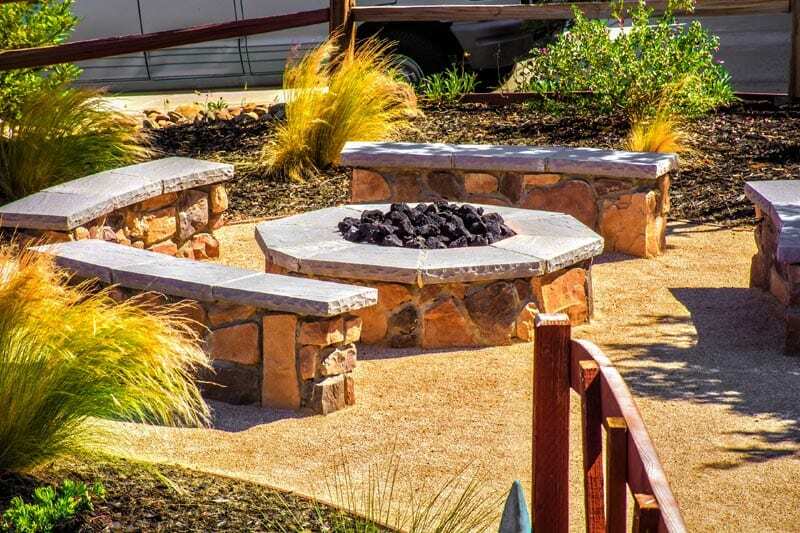 The project included changing a large front yard to a drought tolerant landscaping with a gas fire pit. It also included a waterfall feature in the backyard, various fencing and a stamped and colored patio and walkway. The communication throughout project with Chris and his crew was great. All of his crew seemed knowledgeable, experienced and professional. Polite and friendly too. It was amazing to watch the transformation of the yard in just a matter 2-3 weeks. Any issues that arose were quickly corrected per my request. My yard now looks amazing and I am the envy of the neighborhood. I would highly recommend AJ'S for any of your landscaping needs.